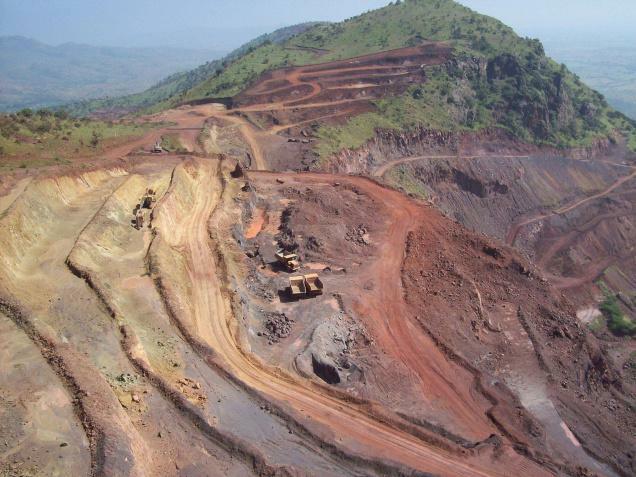 Top firms such as SAIL, Tata Steel, Aditya Birla group’s Essel Mining and Odisha Mining Corp are among 70 firms that have violated environment and forest laws, the Justice M B Shah Commission on illegal mining in Odisha has held. Large scale violation of environment and forest laws have taken place in Odisha since 1994-95 and most of the mining lease holders violated them in some form or other, it said. The Commission has estimated that iron ore worth over Rs 45,453 crore and manganese worth over Rs 3,089 crore have been extracted by miners “illegally and without lawful authority” by violating conditions of Environment Clearance (EC) alone. It further said that the value of illegal production will increase considerably if other factors including consent to operate, production without mining plan/scheme are considered. Out of the 192 mining leases of iron and manganese ores in the state, 94 do not have EC. Of the 94 mines, which do not have EC, 78 extracted iron and manganese ores between 1994-95 and 2011-12, worth several thousand crores. Moreover, 96 leases obtained delayed EC approval and carried out mining during the period. “Totally 130 lessees are/were noted of doing production without lawful authority of iron and manganese ores (which includes 109 leases running under deemed extension also) in violation of EIA notification, 1994 and 2006,” it said. SAIL’s Bolani and Barsua iron ore mines; Tata Steel’s 7 mines – Joda East, Joda West, Manmora, Guruda-Tiring Pahar, Malda, Khandbandh and Bamebari; Jindal Steel and Power’s TRB mines and Adhunik Metaliks’ Kulum mine are among the list of 96 firms that obtained delayed EC while carried out production. Essel Mining and Industries’ Unchabali mine is among the list of 94 mines which did not have EC but carried out iron ore extraction. Its 3 other mines – Kasia, Jilling-Longalota and Koira are in the list of obtaining delayed EC approval. The Odisha government-owned Odisha Mining Corporation’s (OMC) 8 mines are also in the list of 94 mines, which did not have EC approval. Of this, 2 mines – Sakradihi and Balda- Palsa-Jajang carried out extraction without EC. Moreover, OMC obtained delayed EC approval for 14 of its mines and most of them carried out mining during the period. Orissa Mineral Development Corporation (now part of Rashtriya Ispat Nigam), Rungta Mines Group, BPMEL, Kalinga Mining Corporation, Sarda Mines, Tarini Minerals, B D Patnaik, Aryan Mining and Trading Corporation Pvt Ltd are also on the list of violating or not taking approvals.